At the beginning of 2016 I set ambitious goals for the AutoXandTrack Camaro. This was the year I got serious about planning and committing to attending as many autocross events as possible with a moderate sprinkling of good track events mixed in. In fact, my very supportive wife had her first ever car related complaint when her inbox was spammed with over 50 days of event invites in January. I wanted to compete for seasonal points and championships in four different series. 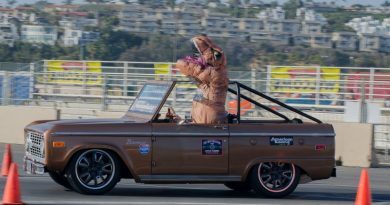 Plus I wanted to try out a NASA Time Trials race and attend the Vintage Auto Racing Association (VARA) University. 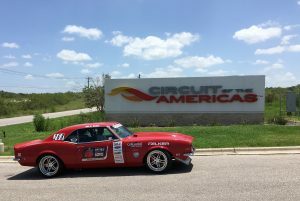 As a result, I attended more events than any other year and had the most fun I’ve ever had with my TCI Engineering equipped 1968 Pro Touring Camaro in 10 years of ownership. I drove more miles (12,500!! 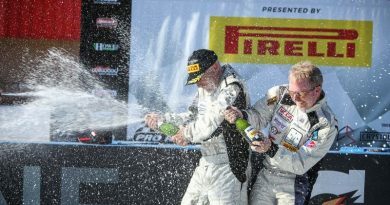 ), finished first and on the podium more than ever before and added two new road course tracks to the kill list. I met a lot of new people, made some new friends and drove head first into the deep end of performance driving addiction. Because of all of this, my desire for more autocross and track related content soared and since I can’t drive all of the time I decided to finally start this blog. So without further delay here is how myself and the Camaro did in each event. 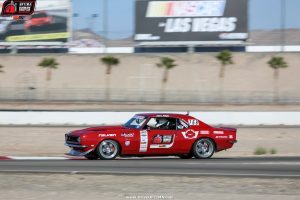 The NMCA West Hothckis Autocross series consists of 4 two day weekend events with the first event in March and final event in October. 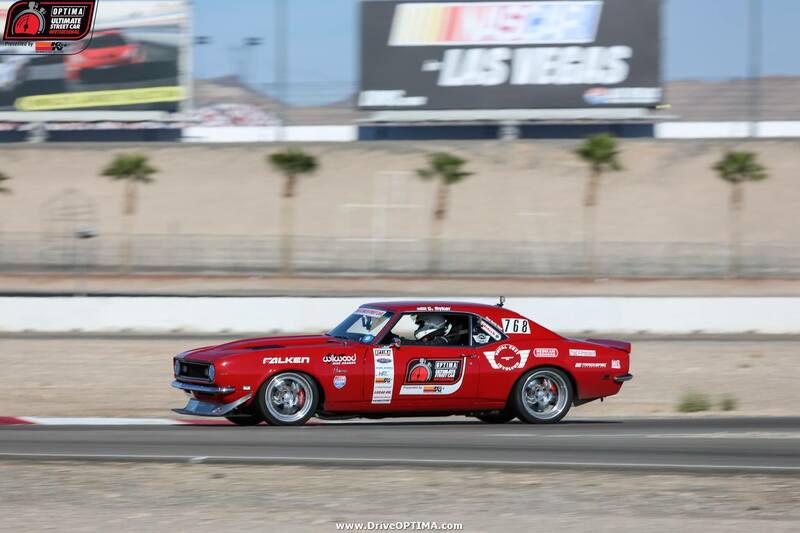 This series is hosted by the Racing Byrds husband and wife team and has quickly grown in popularity and fun over the past few years. 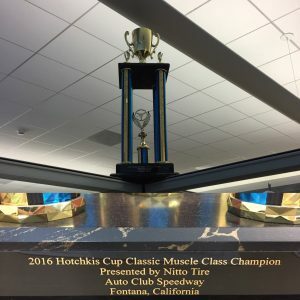 A much coveted “Hotchkis Cup” is awarded at each of the four events based on the lowest average score of all two day driver entries across the weekend. As such, fast, clean and consistent lap times are rewarded and it is damn hard to do! 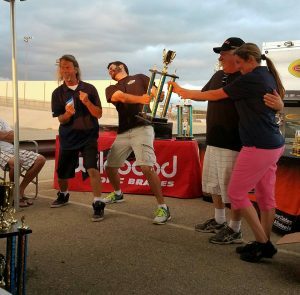 2016 saw the addition of Season Championship Hotchkis Cups for each class and an overall Season Grand Champion Cup. These seasonal cups are based on your combined cup scores from all four events. It was that announcement that convinced me to try and make all four events and make a run for the cup! 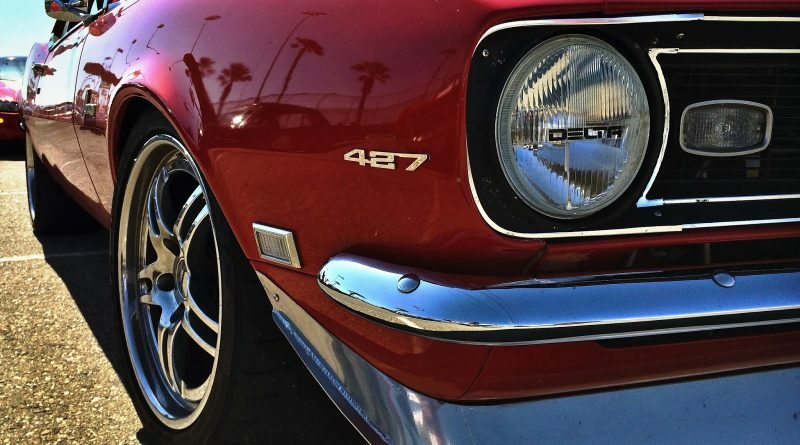 The classes in this series are Compact, Sports Car, Modern Muscle and Classic Muscle. After three events I was in the lead for Classic Muscle by a hefty 10 points and 3rd overall for the Grand Champion. However, my first two runs at the fourth event were both nearly DNFs! I made the mistake of leaving my road course heal toe throttle pedal plate still installed. In the much faster and hectic environment of autocross having that toe heel plate caused me to apply brakes and throttle at the same time in multiple braking zones. I still clearly remember the mental anguish this caused as in slow motion I watched myself committing unnecessary and excessive cone carnage both times. This really messed with my head and sure enough headed into the final day on Sunday my 10 point lead had turned into a 5 or 6 point deficit. In light of this on Sunday I fought human nature and drove slow and conservative to try and claw back the points to win. It was the most stressful event I did all year and I still have mixed feeling from that day. However, during the awards ceremony it was announced that the Classic Muscle Championship was tied between me and fellow competitor and friend Greg T. and that we would both get trophies. Despite the stressful day Greg and I still could have some fun during the ceremony. It was later discovered upon a recount that I actually won Classic Muscle by a single point. This is the coolest and most stressfully obtained trophy I’ve ever earned. Therefore, I have to display it proudly in front of all of my work colleagues! By comparison Sunday is a lot more relaxed from a schedule perspective consisting of the road course and awards ceremony. The road course is run like a typical time trials or open track day. Chiefly four 15 minute session on track with about 45 minutes in-between. There are a number of factors that make the USCA events the toughest events I participate in all year. These events have the most competitive drivers in extremely well prepped cars. Also, these events are all over the country and require much longer drives. Finally, as noted above they are long (but fun!) days. From the crack of dawn on Saturday until sundown on Sunday you are driving or doing something. Accordingly, I have left each event exhausted but happy! 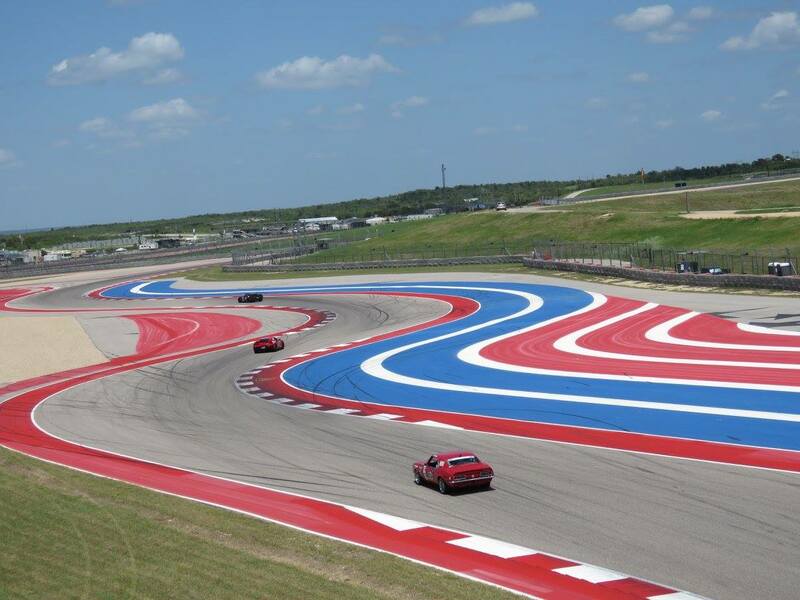 Coolest track my Camaro has driven on! I’m proud of all of my 2016 accomplishments but perhaps most proud of my success in the USCA series. I competed in four events and like all events of 2016 I drove the car to, and more importantly home, from each event! Friend’s always quick to lend a hand! It’s funny because at each of the above events the person who finished right in front of me got an invite to compete at the Ultimate Street Car Invitational (USCI) after SEMA. I still smile at the fact that me and my car were able to finish on the podium twice against a field of 20-30+ of the baddest autocross and track capable vintage cars in the country. However, the best parts are the friends made, hardships overcome, new personal bests. Not to mention getting to drive on the only FIA certified F1 track in North America!! My points totals from my three best events put me in 4th place for the season in GTV class. More importantly, it garnered me the coveted invite to compete in the season finale OUSCI. Read about what it was like driving in the OUSCI. 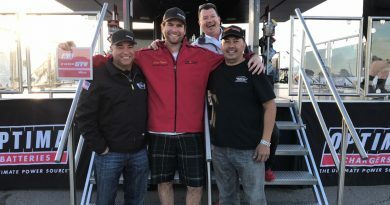 Cal Club is the Los Angeles and Orange County regional arm of the SCCA. At least one event is held every month and consists of a practice day on Saturday and Championship day on Sunday. Practice days usually consist of 12 runs. The course is changed overnight and run backwards for Sunday where usually you get 4 runs and your fastest time wins. These events are a great way to get seat time as the courses are large (usually around 60 seconds) and you can get 20 runs in a weekend with x runs on Sunday. Cal Club currently runs events at Auto Club Speedway and El Toro. 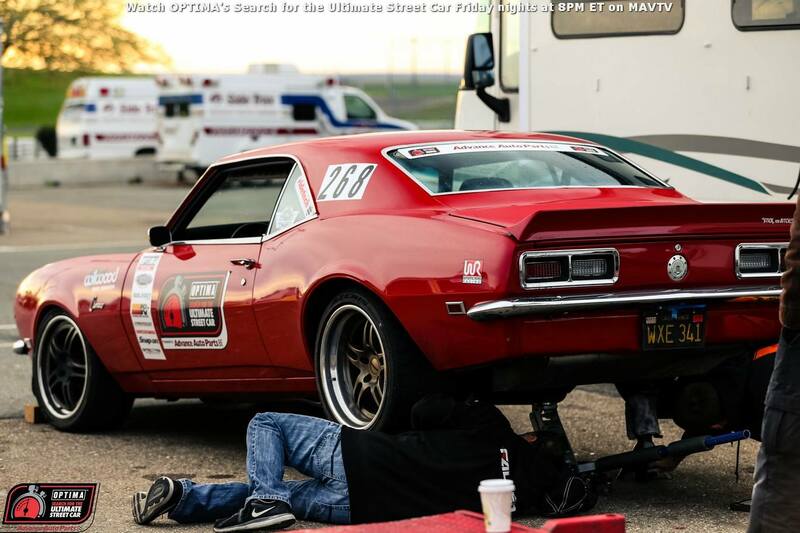 In 2015 when I began to explore running with the SCCA there was effectively no Classic American Muscle (CAM) participation. 2016 saw a significant increase in CAM cars competing and the first competitors chasing the season championship. To be elegible for the season championship you must attend half of the events. However, your score is based on the top 2/3rd of your events. As there were 13 events in 2016 that meant attending a minimum of 7 events. 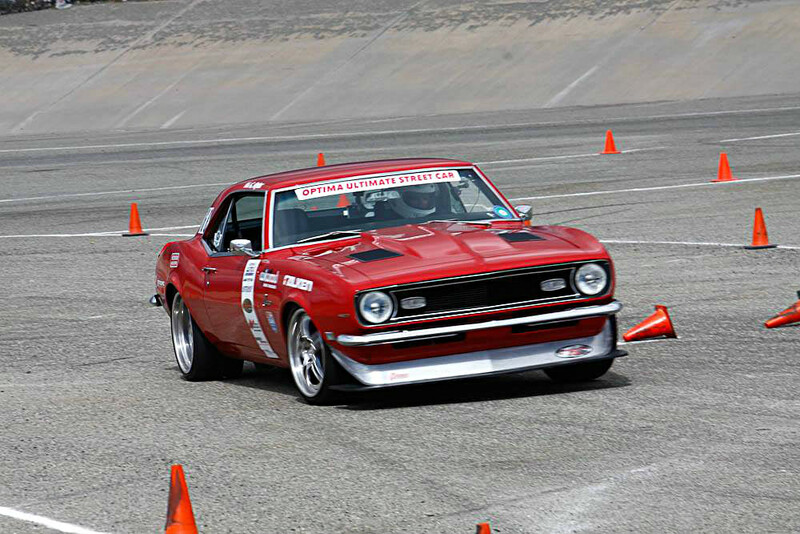 I will go into more detail on running autocross with Cal Club in a future blog post. I attended 8 Cal Club events and got 8 1st place finishes in CAM Traditional. As CAM participation in this region is still growing all CAM classes are grouped together for the season championship. Overall I came in second place behind the CAMC National Champion. 2017 should be awesome as a lot more CAM competitors are planning on coming out. Not only does this mean more competition but if enough folks show each class will get their own championship. 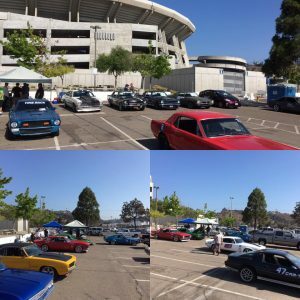 SDR runs all their events at Qualcomm Stadium and the region is very similar to the Cal Club region though there are slight differences. Namely, how practice days are run and the season championship points and trophies. SDR has the largest CAMT class in the country. During summer months there are routinely 15-20 competitors showing up on Sundays. To be eligible for the season championship you must attend 2/3rd of all events which is also the number of events scored. In 2016 SDR had 15 events so to be eligible for the Championship you had to attend 10 events. I love going to the SDR events and drive about 180 miles round trip each time I go. The SDR CAMT class has the friendliest and coolest group of competitors of anywhere. Because pot luck BBQ! I only attended 7 events in 2016. As such, I fell short of my goal of competing in the season championship. When the 2nd half of 2016 dates were announced they conflicted with two Optima events and two weddings. However, of the 7 events I attended I placed first in five events. When I first began to attend SDR events in 2015 I did well but there are some fast drivers in this region that are hard to beat. Especially true when you realize many don’t have cars prepped to the same level as mine. 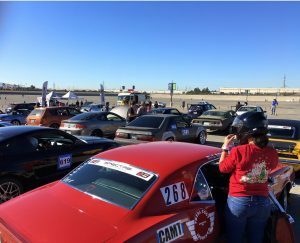 The final Autocross run of 2016 took place with SDR. Here is the video. In closing I have to thank some of the companies and people that helped make this year possible. Huge thanks to Total Cost Involved aka TCI Engineering for your post sales support and setup advice! It helps that you guys make one of the best bang for your buck suspension setups for a first gen Camaro! Falken Tires for making a tire that can deliver strong on track performance but also has the durability to allow me to drive crazy distances to and from the track and between events. Wilwood Disc Brakes for all of the advice, track side support, and great brakes. Currie Enterprises for the bulletproof 12 bolt rear end made even more so this year with the new pro touring full floater conversion! Trackspec Motorsports for the best looking and functional hood louvers for a first generation Camaro. Last but not least thanks to my wife for her unwavering help and support!